These little bears had me in love at first sight! 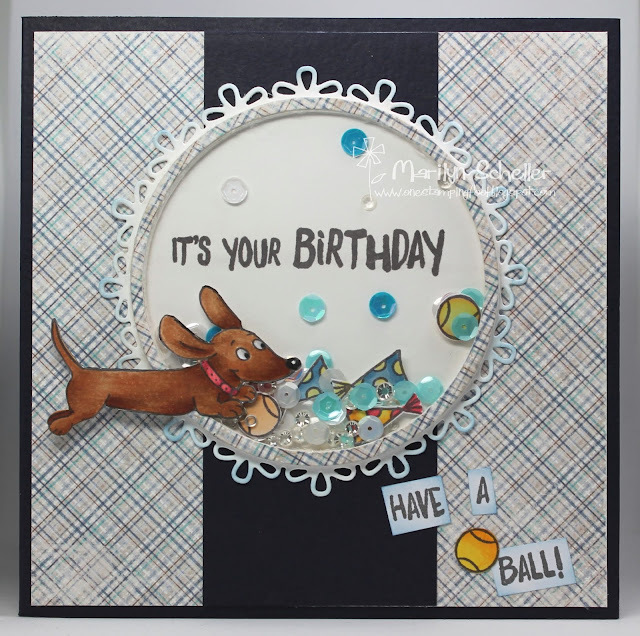 There are so many creative ways you can use this set and really let my imagination take over with this card! 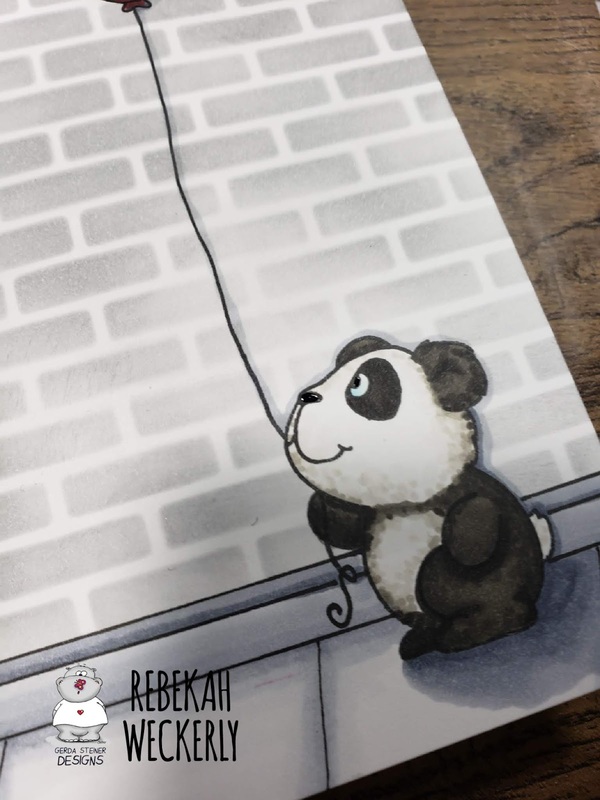 I wanted it to look like the litte panda with the balloon was sending a 'big hug' to the panda at the top of the wall. This card measures 4 1/4 x 8 1/2. 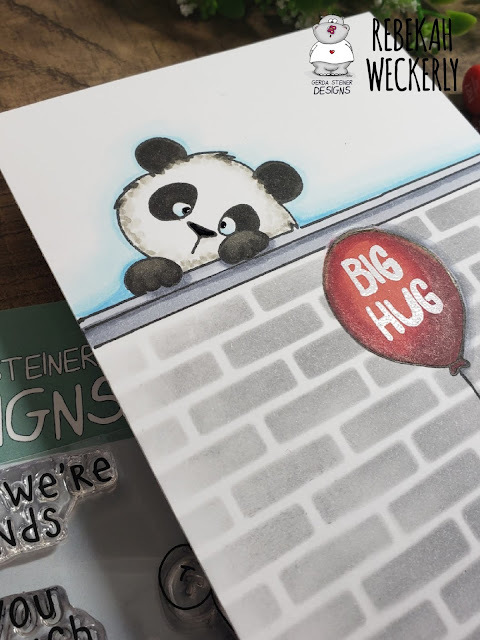 First I stamped the panda holding the balloon. I covered the balloon with a Post-it note before inking so I could stamp it at the top of the wall. I drew the ballon strings to meet using a think black marker. Then I stenciled the wall using Hickory Smoke Distress Oxide Ink. I was sure to mask over the bear and the balloon. I drew in a ledge at the top of the brick stencil and a base at the bottom. Each of the panda images and the balloon are colored with Copic markers. I added extra detail with colored pencils. I stamped the Big Hug sentiment inside the balloon with Versamark Ink and then heat embossed with white powder! 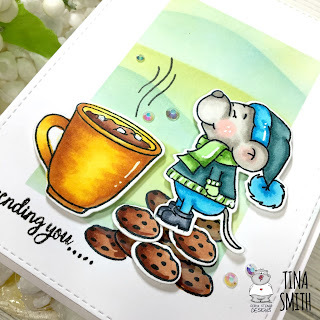 I love the way this card turned out! I an even more excited to see what YOU make with this set! Be sure to share your creations! Howdy everyone! I’m Ally and today I’m going to share wintry thank you card to send to someone special for that wonderful holiday gift. I’m working with the two penguins from the “Dancing Penguins” digital stamp collection. These 2 penguins are also accompanied by a sweet little decorated tree, some Christmas decorations and a variety of different packages. Thanks for joining me today! I hope you have an amazing 2019! 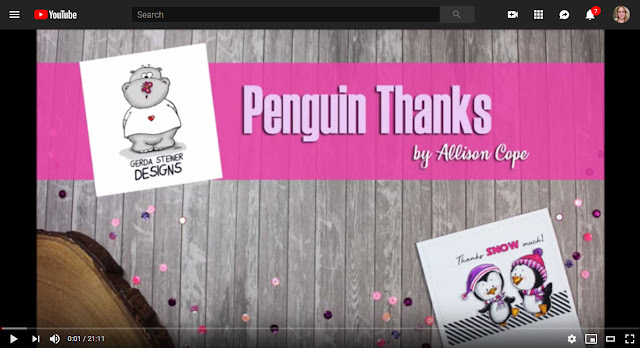 For more inspiration, please check out my blog: Your Memories with Ally. 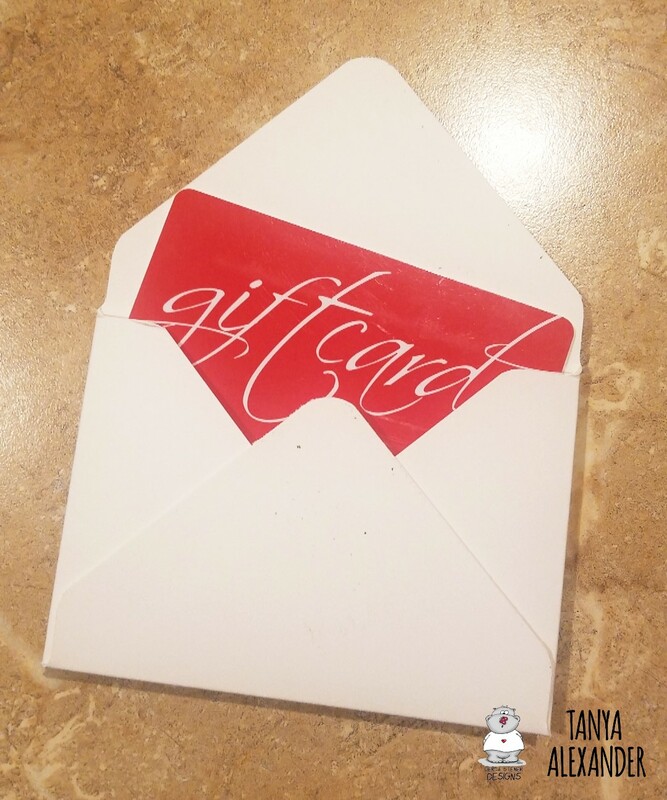 With this card I want to wish you all a Merry Christmas. 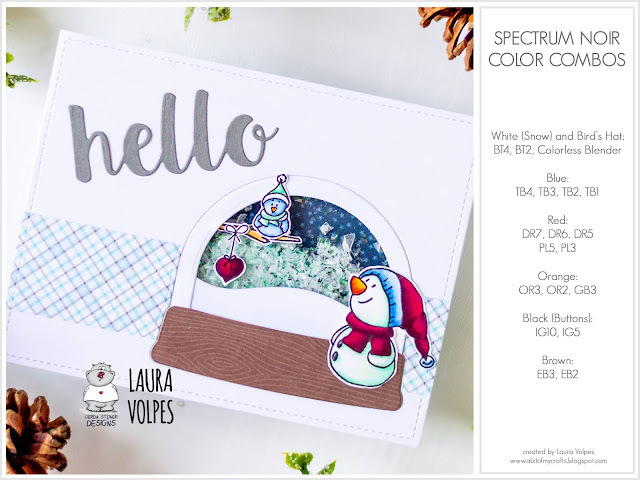 I created this X-mas card with the sweet digital stamp 'Decorating Penguin' from Gerda Steiner Designs. I started with printing the sweet image. Then I colored it with Copics and decorated the tree with rhinestones. I searched in my stack and found a die which could be used as a tree. 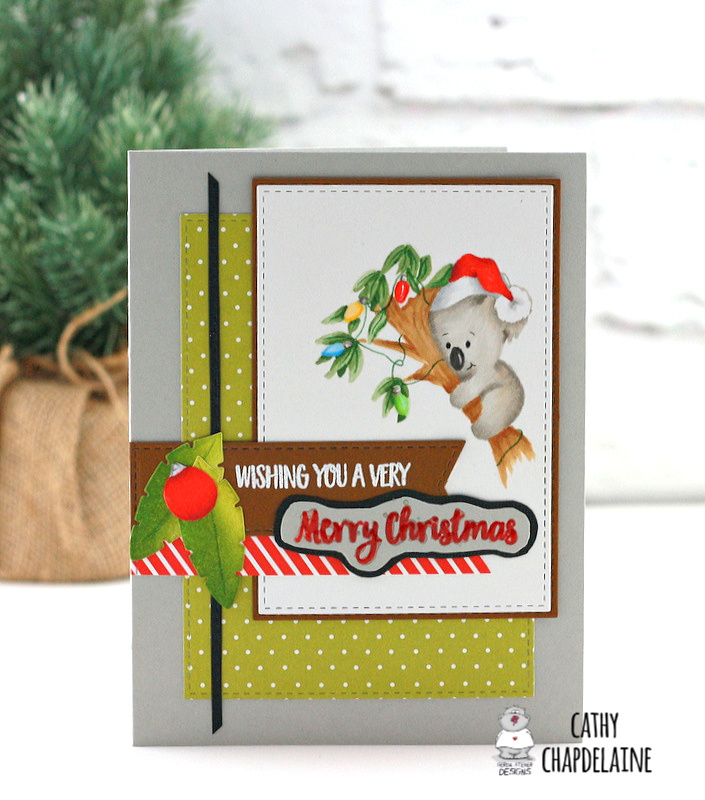 I attached a piece of DP with trees on white cardstock and put the die cut on top of it. This year I had one last card to send out to a Secret Sister and so I decided to print out the adorable Three Carol Cats and get creating. And here's a picture with the Copic Marker chart for all you coloring enthusiasts! Wishing you a very Merry Christmas and a fantastic 2019 from snowy Alberta! This time I'm using the new stamp set called Lovely Pandas. These little pandas are so adorable! This is a clean and simple design that was so easy to achieve. First, I die cut a heart from the white panel. I ink blended the background to go behind the heart using distress ink and propped up the panel using foam tape. I put this onto a kraft coloured panel. The panda was coloured using Copic markers and cut out using a Scan n Cut. 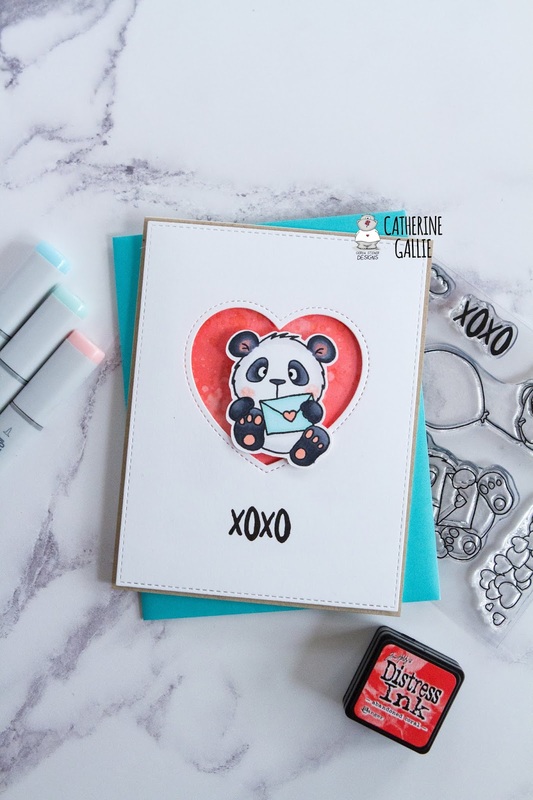 The sentiment was stamped in the white space underneath and to finish, the Panda was adhered using foam tape and that completes the card. Wishing you all a wonderful and safe holiday season and a happy and prosperous 2019! Happy Friday! Cathy here with one last card to share for the year. I had so much fun with this one and used one of my very favorite Gerda Steiner stamps. This little koala didn’t want to miss out on the Christmas festivities! I’ve combined stamps from 3 different Gerda Steiner sets on this and used a no-line coloring technique with Copics. 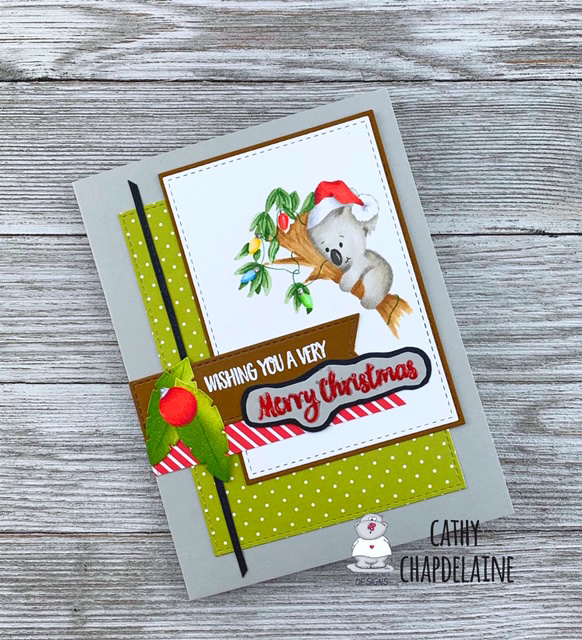 The Santa hat is from the Carol Puppies stamp set and was the perfect size and shape for the koala. 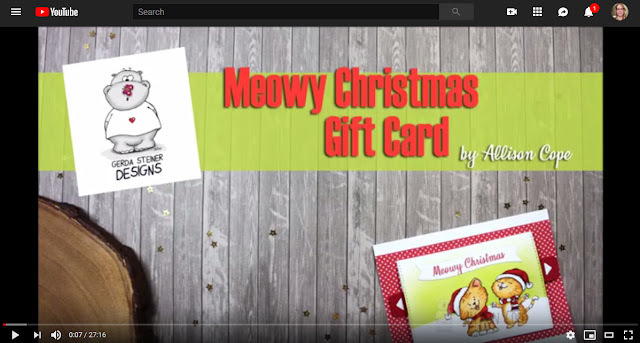 Both the Carol Puppies and Carol Kittens sets have quite a few sizes and shapes of Santa hats that would fit nearly any of the Gerda Steiner animal stamps. I’ve added a string of lights to the eucalyptus tree using the tiny lightbulb from the Balancing Mouse stamp set and drew the string with a colored pencil. 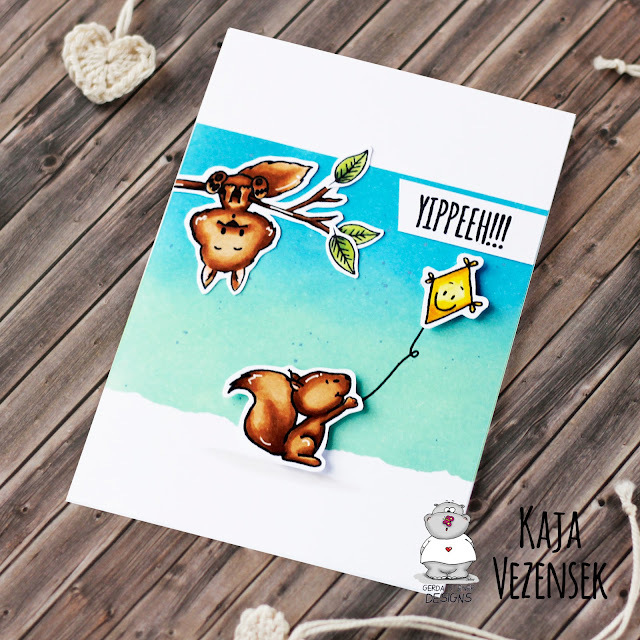 My very favorite adorable koala is from the You’re Koalafied stamp set. I colored and fussy cut the ornament from the Balancing Mouse set and added it to a few die-cut leaves that almost looked like eucalyptus. The sentiments are also from the Balancing Mouse set. 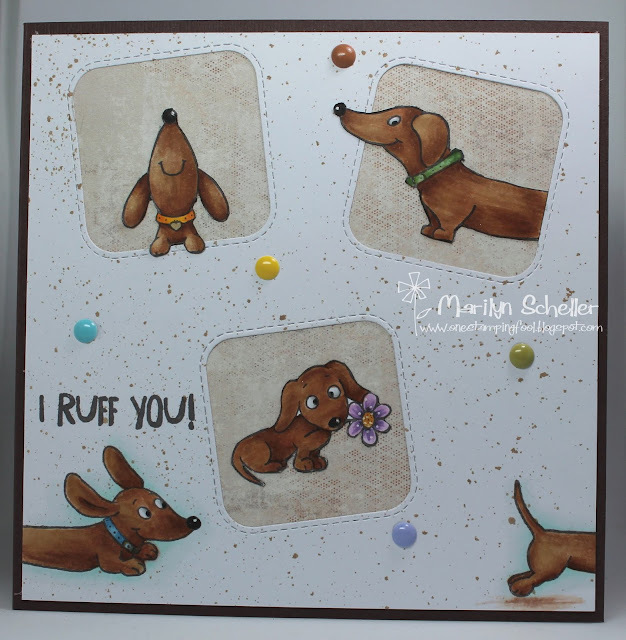 I hope you enjoyed my card today and it inspires you to mix and match your stamps. Happy Holidays and I’ll be back in the New Year! 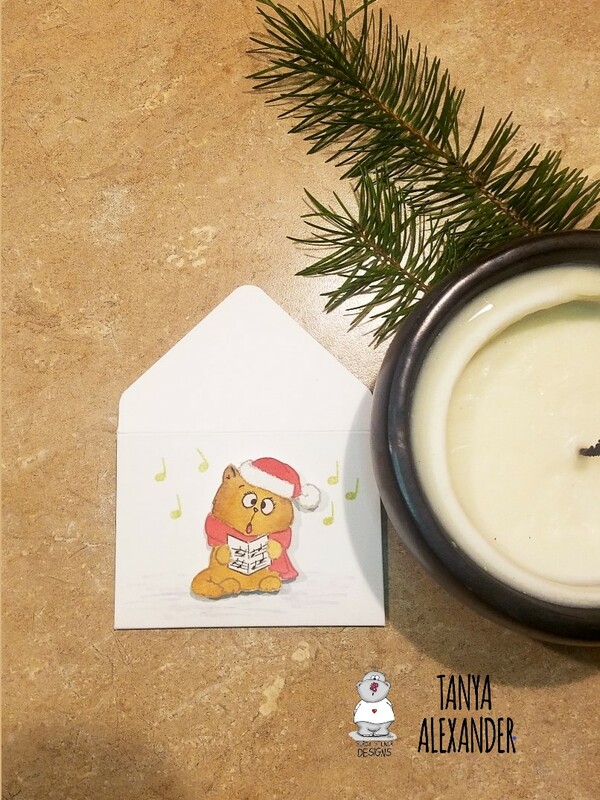 Tanya here with another fun holiday card idea for you! 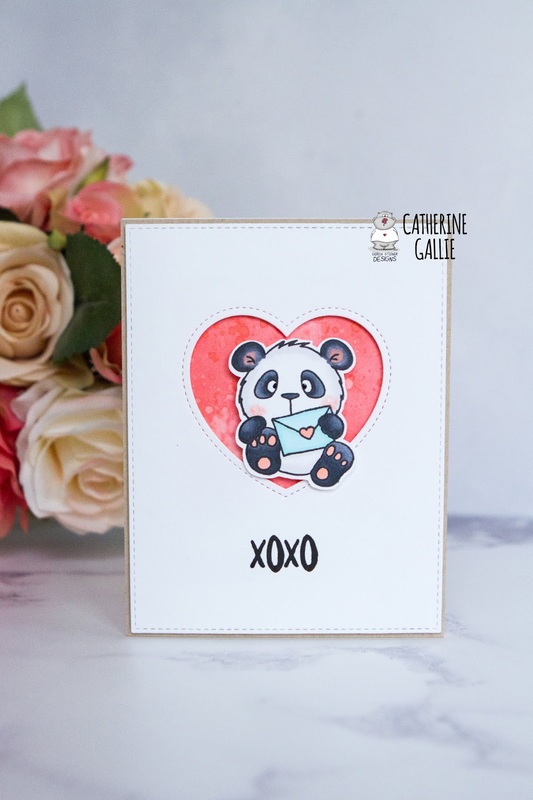 This week I'll be sharing some fun gift card holders using the Carol Kitten stamp set, out of the designs I made I chose two to share with you! 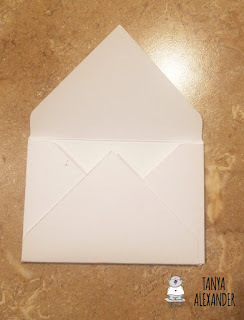 For these little envelopes I used the Neenah solar white 110 Lb paper. I cut it into a 5 1/2" x 5 1/2" square. 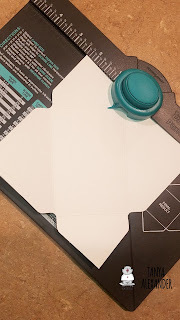 Then I used my We R Memory Keepers envelope punch board to make the envelope. To do that I lined one side of the paper up to 2 3/8" and did the first punch and score there. After that first punch I just rotated each side, lining the scored line on the envelope to the little score guide near the punch button and did the same on the rest of the sides. After that I used a TomBow dot adhesive along the two little flaps to adhere the bottom to create the closing of the envelope leaving the top open for the card to slip into. I used a mixture of Zig markers and Tim Holtz distressed inks as well as a water pen to color the kitten cut out, then added a little shimmer to the kitty's hat with the wink of stella pen. I then used some foam dots to attach the kitty to the front of the envelope and finished off with little music notes around the kitty. For the second envelope, I quickly stamped the music notes all over the square paper to add a fun background to it before scoring it. 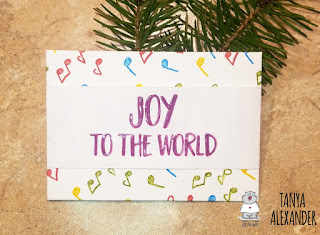 I then cut out a second piece of paper to create a slip to go over the envelope with the words "Joy to the world." And there you have it, two simple and easy gift card holder! I hope you all enjoyed these as much as I did! Merry Christmas and Happy holidays! I had so much fun with this More Than Pie stamp set! I think its ever so adorable! I, of course, have a process video for you! 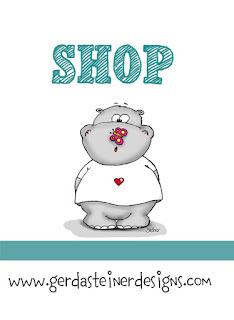 It's a fairly simple card really but I think it makes the image the absolute focal point of the card. First I coloured the background with some distress ink "Festive berries" and added some "Black soot" around the edges. I spritzed it with water for a splotchy effect, I just love the result you get when you do this technique!! The image I coloured with Copics, cut it out and mounted it to the card with a double layer of foam tape for some nice dimension. To finish off the card some pretty sequins. 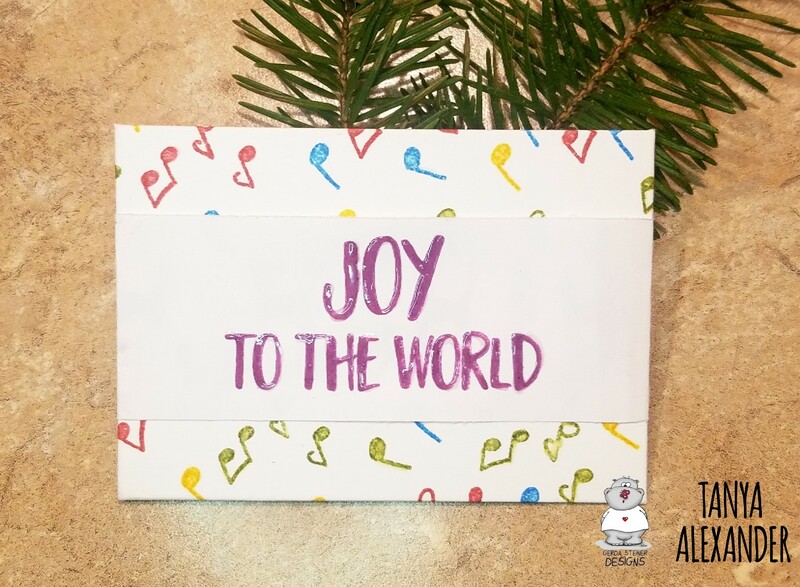 There you have an easy christmas card perfect for a new baby's first christmas. I will be back in the new year with some more Gerda Steiner inspiration for you all!! For today's card I have used the 'Fa la-la-la Llamas' digital stamp. 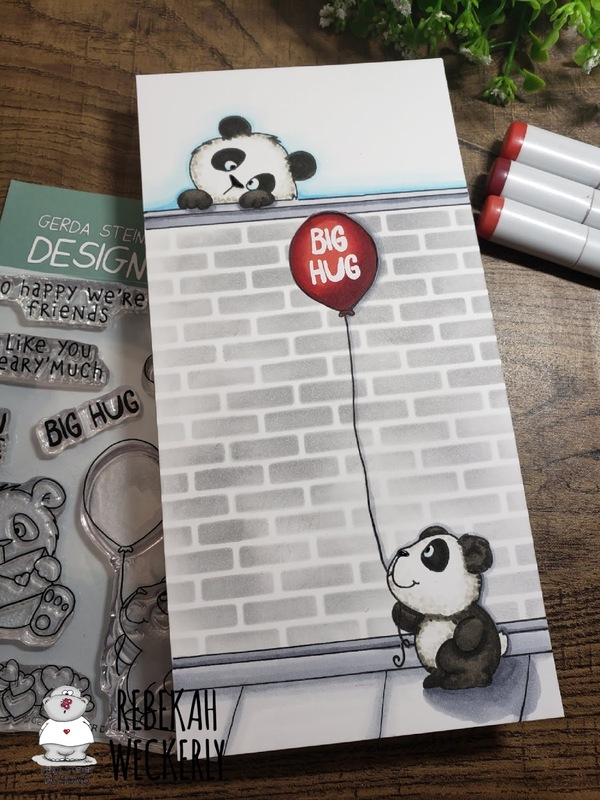 The images have been printed onto Copic X-Press blending card and coloured with Copic Markers. They have been fussy cut and glitter added with Glossy Accents. Set aside to dry. The base card has been made using Copic Various Ink and set to dry. 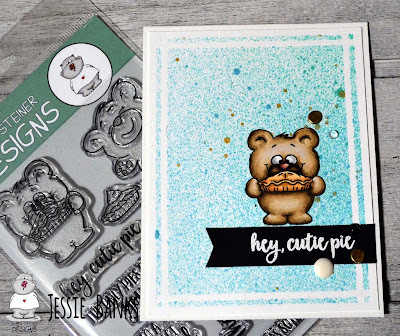 Cut a polaroid die from white card stock. Adhere Llamas to the insert of the frame. Adhere this to the dry base card. The sentiment has been stamped onto a piece of white card and cut to size. Adhere this to the base card using foam tape. Adhere enamel dots to card. 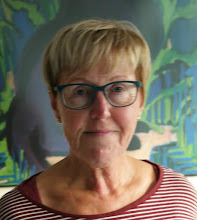 It's not unusual to have a creative block from time to time and today I will share some advise what to do if it happenes to you. I love sketches so my inspiration hunt starts with them. Hope that you feel inspired and that you will join some challenges in the future! Stamped the image and colored it with Copics, die cut it and attached it with foam on design papers. Added Flowersoft on the fur parts. 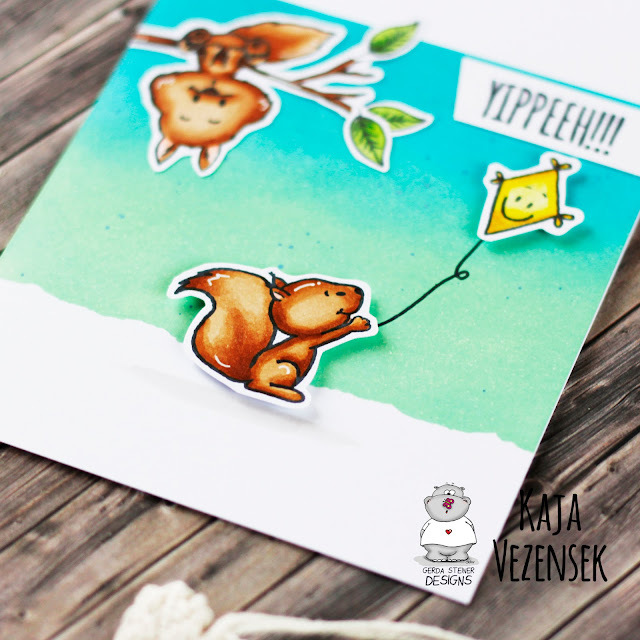 The sentiment is made with a Sizzix cutting stencil. It was fun creating with this lovely Santa. Hope you like it. 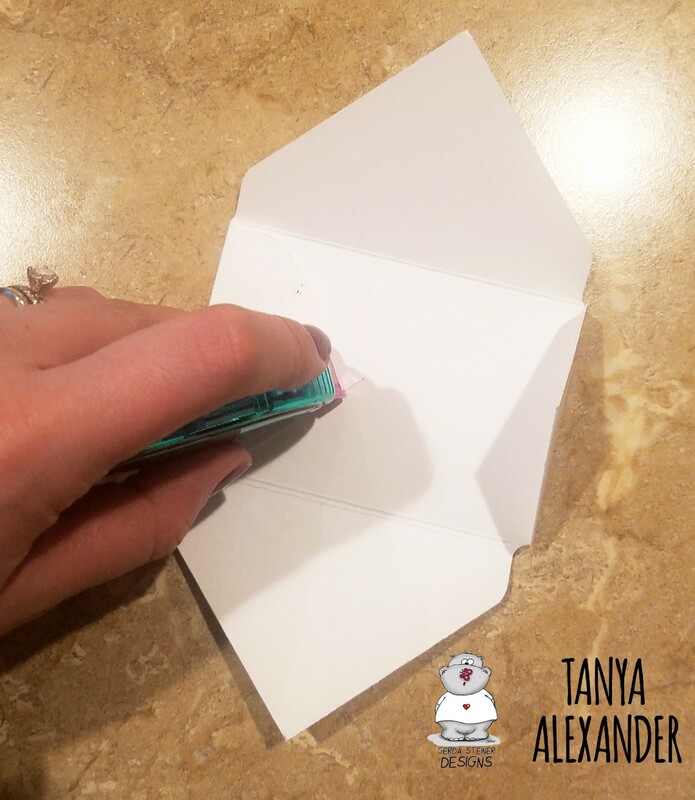 I am sharing today my small gift bag using Up on the house top stamp set, I started with a piece of vellum and cut two pieces each are 10" * 5" then I measured 4" to be my actual bag's size and folded the rest each 1/2" to make the top. the front side is just blended with distress oxide inks (stormy sky, chipped sap, black soot) and some embossed white dots to be like a snow. Then started the fun part, stamping and coloring all these adorable images and assembling my bag together to be ready for Christmas.